This mod replace the default crew icons to GuP characters. 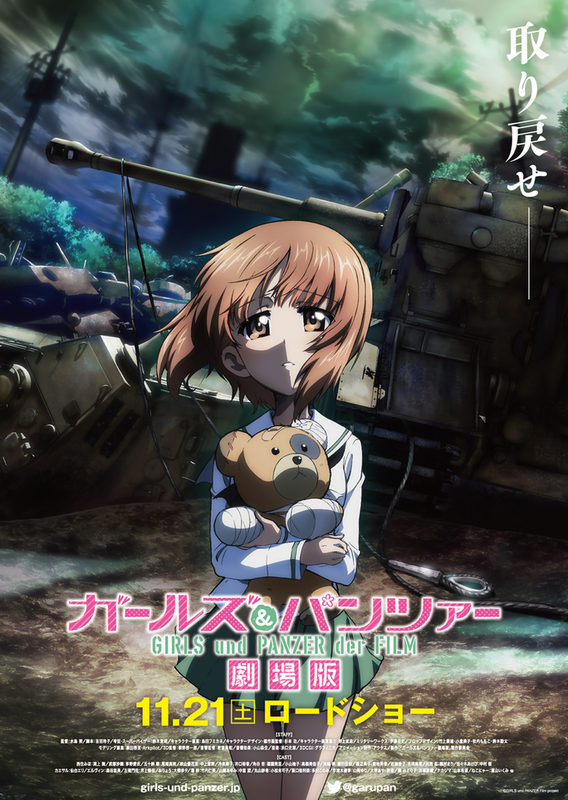 Contains characters from the series, Anzio OVA and the new Movie. How to change/swap crew icons: Since there is no crew manager program you can only do it manually by renaming the files, it’s up to you how do you want to order them with some basic file renaming/copying. Here is a gif which can help you show how to do it. – I copied the ussr25.png to another folder to avoid overwrite. – done the two crew pic have been swapped. You have to do this in all 3 folders ( barracks, big, small )! Categories: GUI mod | Permalink. 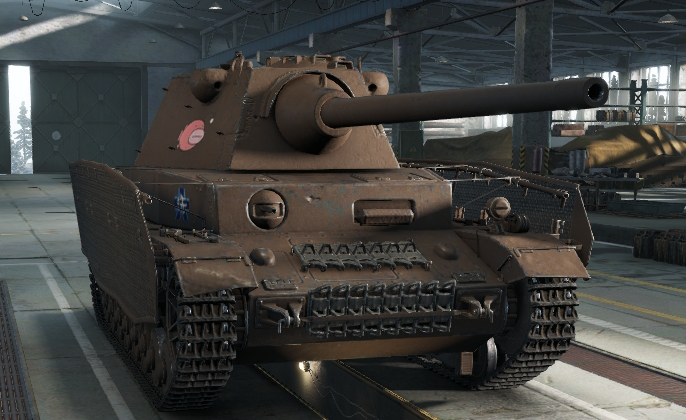 This mod replace the nation decals on tanks into GuP decals. -Copy the decal(s) and rename it to that nation decal name which you want to replace. For example replacing default chihatan icon to ooarai: rename Ooarai.dds to japanese_sun.dds and overwrite. This mod replace the banner picture in after battle report window. 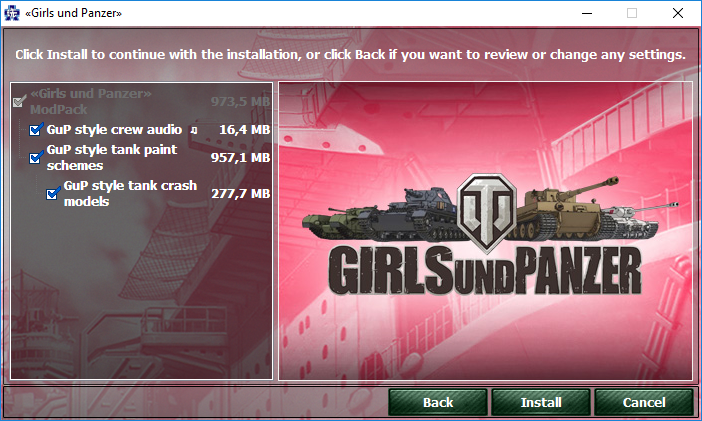 As usual I packed the mods into a ZIP and uploaded because the installer is tied for the current WoT version, that means if a new version comes to WoT (will happen soon, new version already on test server) you can’t install anymore this modpack with the installer because it won’t let you proceed just saying incorrect version. We’re super excited to announce that the colorful “Girls und Panzer” Pz.Kpfw. IV H from the Anglerfish Team will be available in the Store for all platforms! 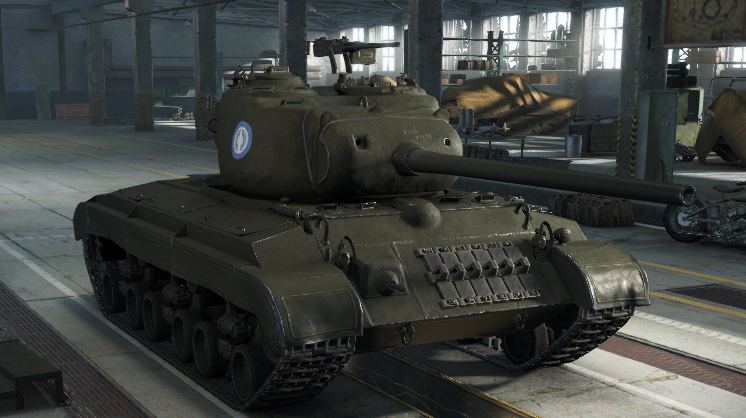 This tank straight from the TV series comes armed and ready to take you to school! Categories: Tank skin | Tags: University_student_selection | Permalink. 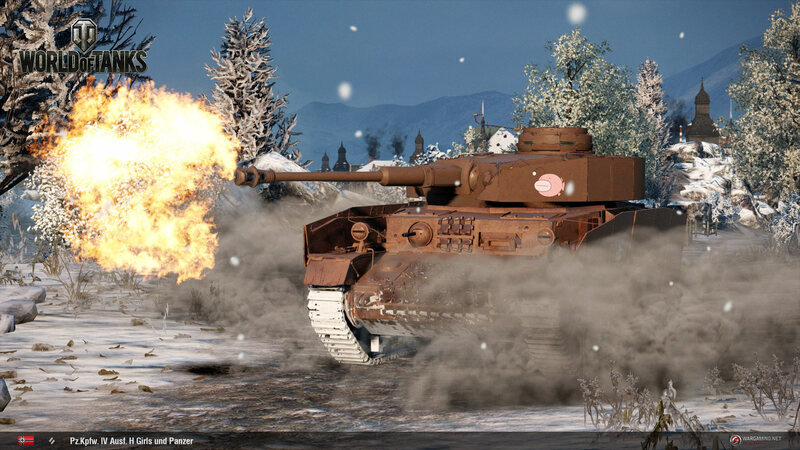 Categories: Tank skin | Tags: Ankou_team | Permalink.